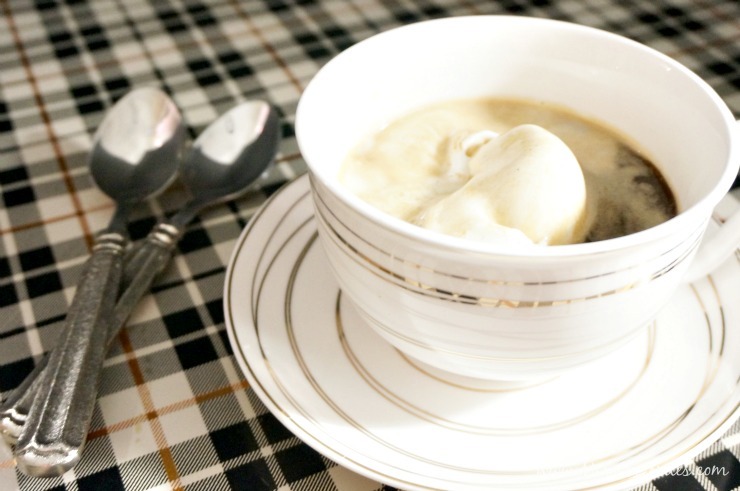 Finish off your dinner party with a two-ingredient, dairy-free Affogato. 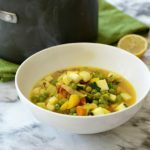 This recipe will end your night with rave reviews! An enthusiasm for entertaining and a total lack of baking skills seems like a bad combination… but I hide it well. Sometimes it involves serving popcorn for dessert. Sometimes I ask a guest (my sister) to bring along something sweet for a final dinner course, and sometimes I come up with something brilliant that distracts my dinner guests from realizing I didn’t actually bake anything. Trust me on this one…. 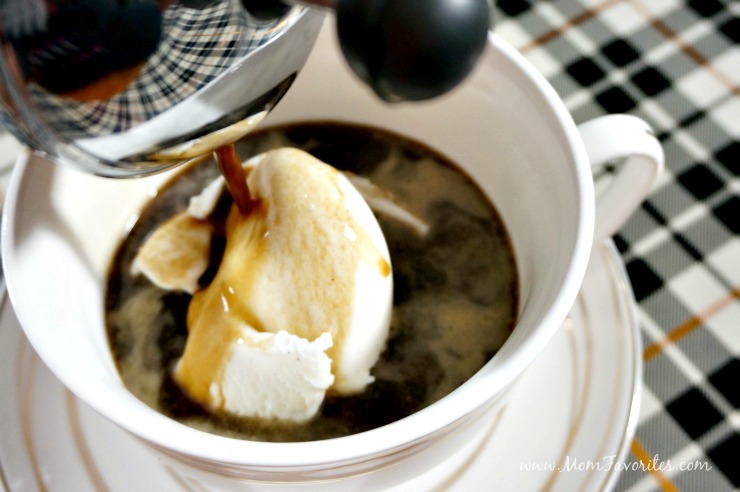 winding up your dinner party with this Affogato recipe will end the evening on the perfect note! 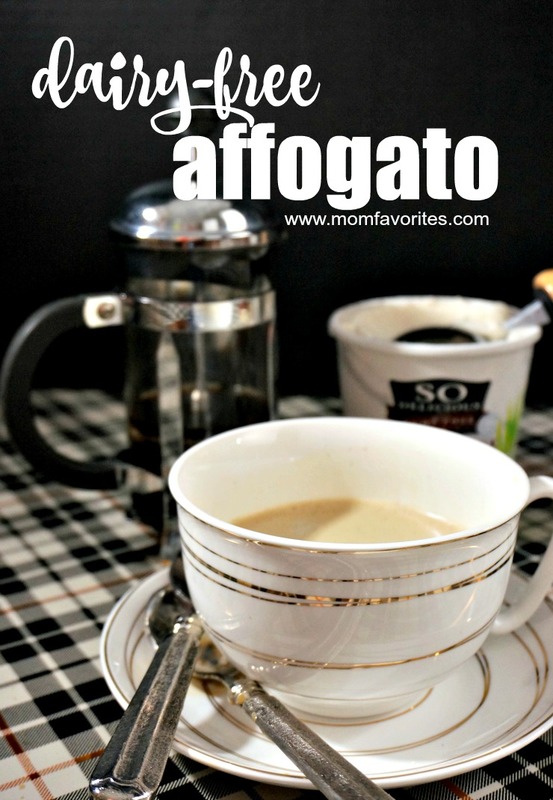 What’s an affogato? In in it’s truest sense it’s a scoop of gelato topped off with a shot of hot espresso, an Italian tradition. My version, is still a two-ingredient beauty, but I’ve updated it with French Press coffee – still strong, but you can brew it with decaf. Even better? 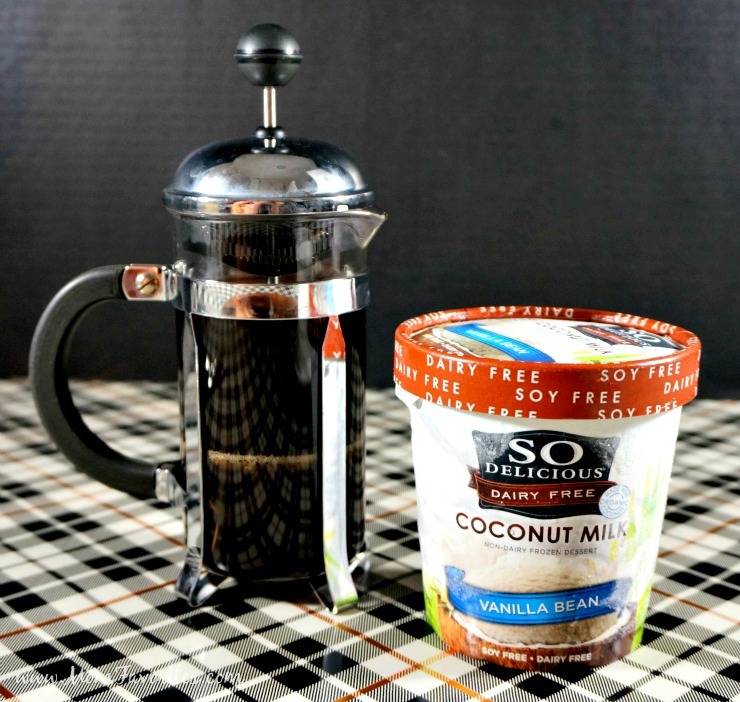 It’s poured on top of So Delicious Dairy Free® Coconut Vanilla Bean Frozen Dessert. When I was nursing James, I had to switch to a dairy free diet, and now I’m über-concerned about making sure that my food is aligned with the needs of my guests. 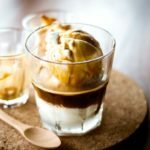 Serving affogato not only makes sure that my dairy-free friends can satisfy their sweet tooth, but I also just love the slight coconut hint that the So Delicious Coconut Vanilla Bean Frozen Dessert lends to the dessert! 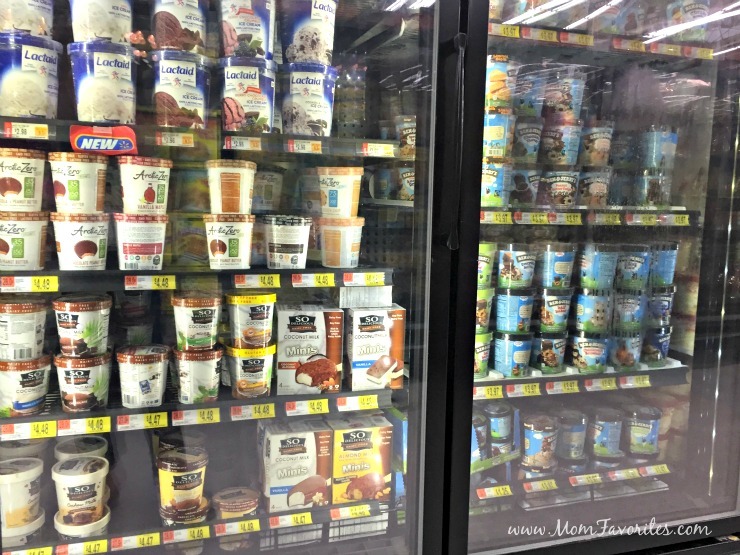 So Delicious Dairy Free® Frozen Treats are Certified Vegan. 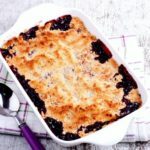 Dairy-Free and Egg-Free, and Non-GMO Project Verified so you’re guests will be able to enjoy dessert without the guilt! It’s the perfect hot-cold, bitter-sweet combo, and a great dessert for both hot and cool nights. Pour coffee over the frozen dessert and stir! Even better? You can get all of your ingredients at Walmart! 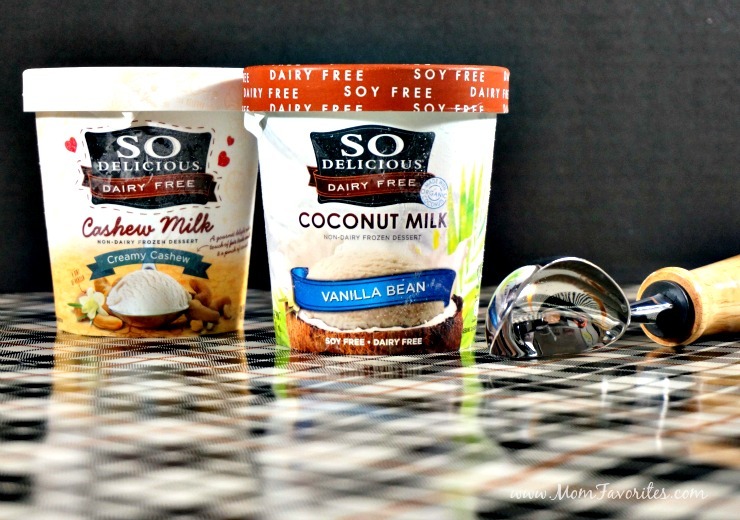 Have you enjoyed So Delicious Dairy Free® Frozen Desserts yet? What’s your favorite flavor? I’ve already enjoyed the So Delicious Cashew Milk Creamy Cashew and Coconut Milk Vanilla Bean, so I’m thinking I’m going Cashew Dark Chocolate Truffle, next! 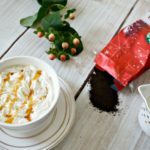 Three Delish Coffee Drink Recipes + WIN a Ninja Coffee Bar® System!